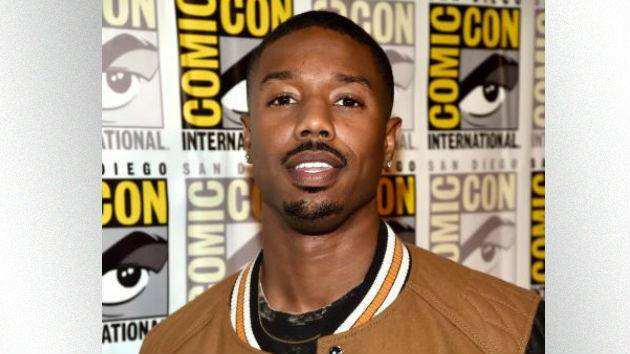 Variety is reporting that, arguably, one of the coolest actors working in Hollywood today, Michael B. Jordan, will be playing, arguably, the coolest character created by the late thriller author Tom Clancy. (LOS ANGELES) — Variety is reporting that, arguably, one of the coolest actors working in Hollywood today, Michael B. Jordan, will be playing, arguably, the coolest character created by the late thriller author Tom Clancy. The trade notes that the Creed and Black Panther veteran will play John Clark in a new series about the Navy SEAL-turned vigilante-turned head of the elite international anti-terror group Rainbow Six. Jordan will reportedly play him in an origin story based on Clancy’s revenge thriller Without Remorse, leading to a Rainbow Six movie based on the squad, which has been the grist of multiple Clancy books and a hit video game series. Incidentally, the Clark character was played twice before on the big screen, once by Willem Dafoe opposite Harrison Ford’s Jack Ryan in 1994’s Clear and Present Danger, and again in 2002 by Liev Schreiber, opposite Ben Affleck, in the latter actor’s attempted reboot of the Jack Ryan character. Clark and Ryan have a long history in the Clancy books, having served as a confidante, fixer, and even bodyguard for Ryan over decades. Ryan is now played by John Krasinski in Amazon’s Tom Clancy’s Jack Ryan series.